Once again we were sad to leave somewhere we really enjoyed but we had to get to Porto by 3pm to meet Carlos. 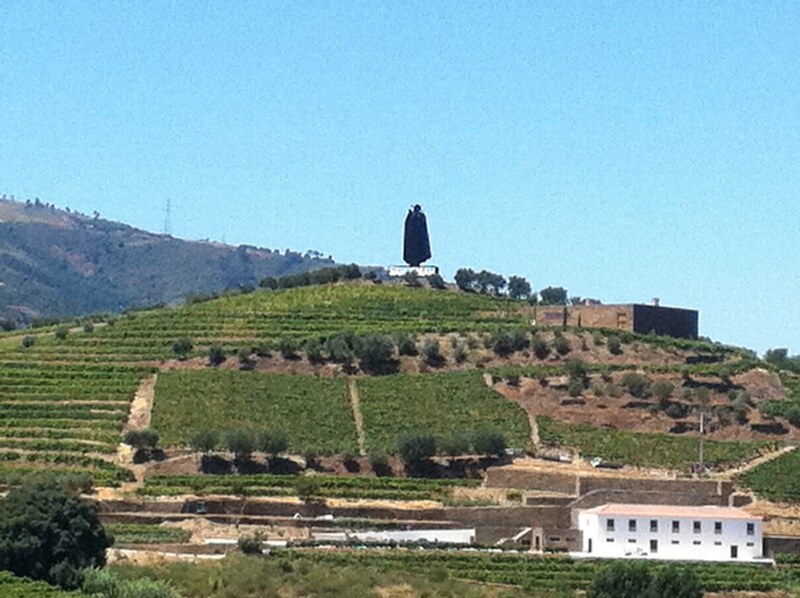 The drive down was full of more breathtaking landscapes and vineyard-after-vineyard all the way to Porto. All of a sudden we started to see the long list of famous names such as Taylors, Crofts, Cockburn’s, Ferreira, Offley, Robertson's, Ramos Pinto Churchill's, Niepoort, Graham's, Warre's, Dow's, and my favourite Sandeman on billboards high on the steeply sloped vineyards that seemed made for advertising. Port being heavily influenced by the British maybe they were!? Sandeman being my favourite because of the remarkable and unmistakable silhouette of the Don dressed like the Spanish Caballeros de Jerez in a Portuguese student’s cape and wide-brimmed hat. The Don cuts a dark, dramatic figure with his glass of ruby coloured Porto … probably the first iconic logo for a wine. 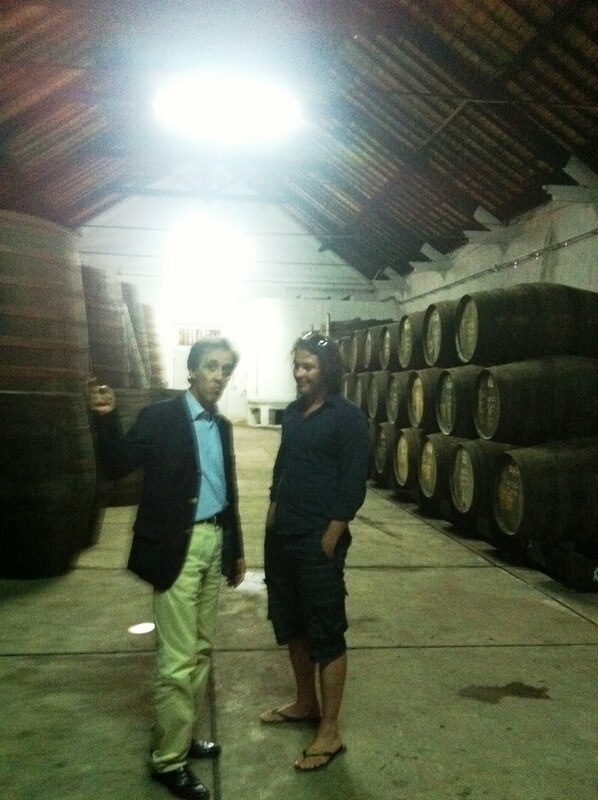 Carlos is a great friend of ours and also has his own famous Port house, Andresen. It has been in his family a long, long time and he took over from his father as owner twenty years ago. 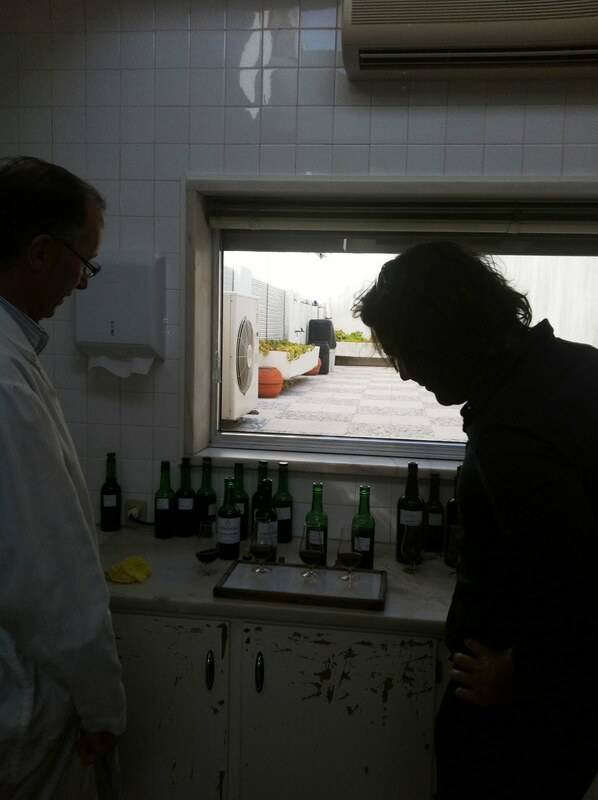 Carlos is doing some fantastic work, making great ports with his winemaker Alvaro. 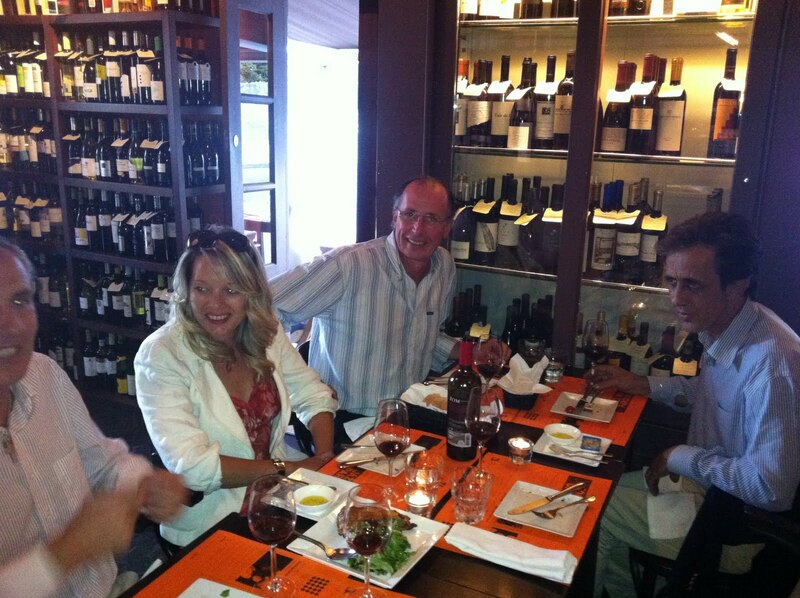 Some of you may recognise his familiar face as he is often in the UK to present his own wines to customers. And some of you may only recognise his hand as it is always his stand that gets completely swamped at the end of the customer events and tastings where, even when four people deep, his hand somehow manages to pour Port into everyone’s glass!! Carlos booked us into the little Hotel da Bolsa right in the heart of the old town. He then took us on a grand tour round the city, finally ending up in a bar on the beach for a beer! Porto is a great city bustling with energy and the English influenced architecture makes it kind of homely. And of course, Port is everywhere! Carlos then took us deep into the town of Porto and its warren of streets where all the lodges are; lodge is the name for the barrel houses where the port is aged. When we arrived at Carlos’ lodge we entered through a small door in a side street and WOW it’s like the Tardis! 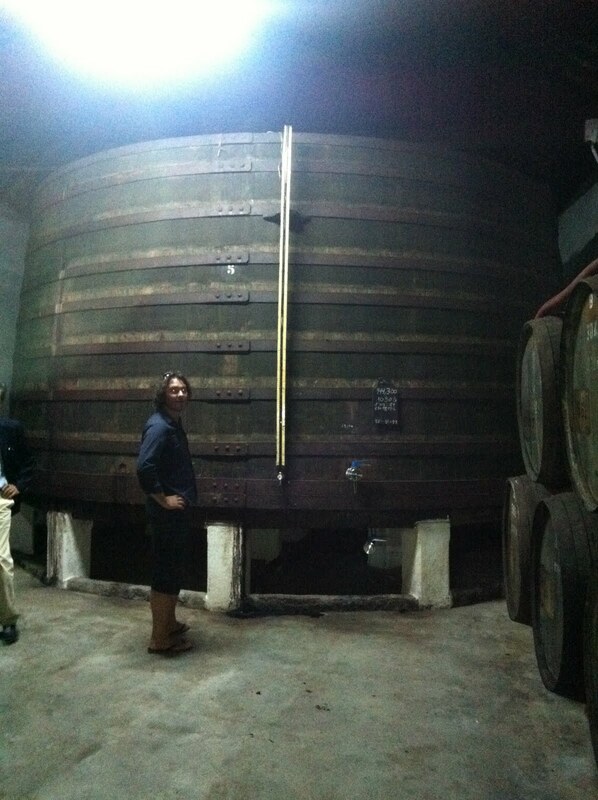 Huge wooden vats, barrels of all sizes, bottling line and even a cooperage! We endlessly wandered from one lodge to the next, each connected together by a small archway and each one holding more vats and barrels. One lodge with a 50,000-litre wooded vat they call the swimming pool! 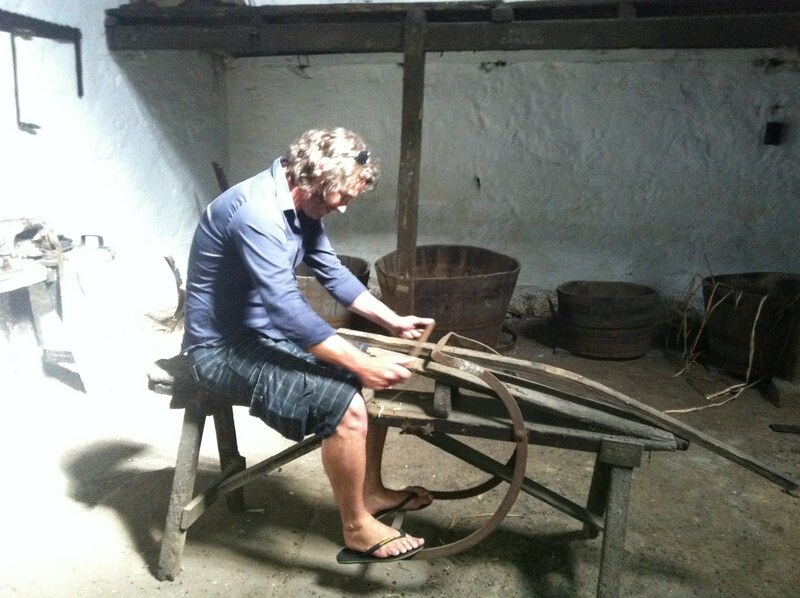 Finally we reached what I thought the wonderful cooperage, full of worn old tools, tables, special seats, fire pits and a dirt floor. Carlos explained to me that it was still in full working use for the company! 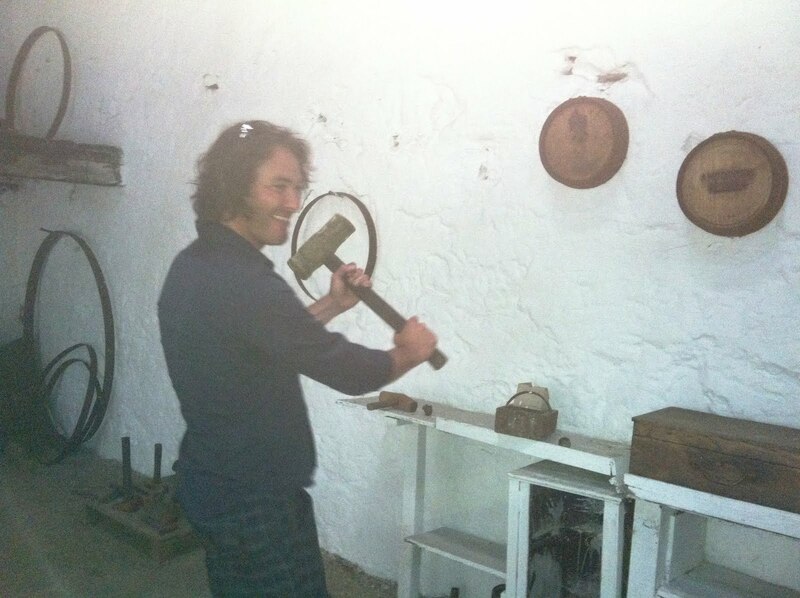 When he took over he wanted to put in plug sockets and power tools to modernise the cooperage. At hearing this idea, the Head Cooper of 40 years replied “ok, very well, but I won’t be here to use them!” After quickly making his mind up there are still no power tools or sockets, but the Head Cooper is still there! They still use the same 80-yr-old barrels, originally bought by his granddad which they constantly breakdown, sand down the inside, re-toast and re-assemble, ready to fill. I couldn’t resist having a go! Walking round Port lodges does work up a bit of a thirst so we headed to the tasting room to meet winemaker Alvaro. I know Alvaro’s brother Fernando very well indeed (more on Fernando in part seven!!). Once in the tasting room the fun began as Carlos and Alvaro starting pouring ports blind to catch me out. They did so rather cleverly as every time I got it wrong! Once the bottles were unveiled and I realised what I had been tasting I nearly fainted, we had 1900, 1910, 1963, 1968 and 1970 up to 2010, a re-taste was certainly needed! To rub salt in the wounds Alvaro who distracts you from concentrating on the tasting by constantly telling jokes. Please do come to one of the Laithwaites events, mini festivals or shop tastings to taste these truly superb Port wines from Andresen. I seriously recommend ordering them directly from us, you will not be disappointed. Online, we currently stock their Ruby NV, their LBV 2005 and their uniquely delicious 10-year-old White Port: definitely worth a sip. Call 0845 194 7711 for our entire range. In the evening we met up with Fernando, Mariana, Carlos and Alvaro at the fantastic Cafeina restaurant wine bar off Avenida Brasil, behind the beach at Foz in Porto.